Our Sun City Oro Valley Home Sales August 2018 update presents sales data for Single Family Residences (SFR). Oro Valley sits at the base of the Catalina Mountains. This location means residents of Sun City Oro Valley enjoy panoramic views of the mountains. The Town of Oro Valley is on many top 10 lists of great places to live. Sun City Oro Valley is a Del Webb active adult community. It is in the master planned community of Rancho Vistoso. Views of the Santa Catalina Mountains are only one of Sun City Oro Valley amenities. Over 4500 active adults create a friendly hometown feeling. It’s is close to shopping, healthcare, dining, and entertainment. Sun City Oro Valley homes have community facilities and activities. While golf is popular, swimming, tennis, hiking, hobby groups abound. Dozens of hobby areas and social clubs put the “active” in Active Adult. Review ALL Homes for Sale In Del Webb Sun City! The Sun City Oro Valley home sales August 2018 presents data for single family homes – ONLY. Oro Valley holds a unique place in history. It has been inhabited for nearly two thousand years. Artifacts of the Hohokam Tribes dating to 500 AD are still being discovered. The Town of Oro Valley incorporated in 1974. And has been growing ever since. Oro Valley provides residents parks, places to play, and relax. The oldest is James D. Kriegh Park (formerly Dennis Weaver Park). It has an Olympic-sized swimming pool, recreational fields, and racquetball courts. A new aquatic center was opened in 2011. Another great place is the Christina-Taylor Green Memorial River Park. It has tennis and basketball courts, recreational fields, walking trails along the Cañada del Oro. West Lambert Lane Park in Cañada Hills is a nature park with lots of hiking trails. 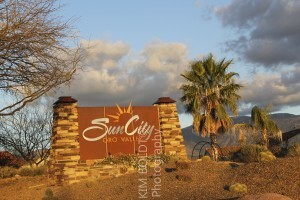 Sun City Oro Valley is a community of about 2500 homes. The large central community facility is a focal point for events, hobbies, arts, and crafts. It also has a health facility. Our Sun City Oro Valley home sales August 2018 report is one of our nine monthly reports. Our reports focus on popular communities and property types. If Sun City Oro Valley home sales August 2018 report sparks an interest, don’t hesitate to contact us. We will be pleased to discuss your interest in Sun City Oro Valley. If you are looking for Houses For Sale Tucson AZ OR interested in Tucson Arizona homes? We can help! Are you thinking of buying a home in the greater Tucson area? Finding the right home can be a challenging process. But our Sun City Oro Valley Home Sales August 2018 will give you insights in to this 55+ community community. And we will make the process much less stressful for you. Thinking about selling a home in Sun Ciity Oro Valley? This Sun City Oro Valley Home Sales August 2018 will give you insight on the Sun City real estate market. But selling a home requires more than listing it in the Tucson MLS system. It’s about marketing. Marketing through multiple online channels. We use multiple online marketing channels to showcase your home. We will build a stand-alone website built to show your home. Our marketing program targets key cities in the U. S. based on the season. For luxury listings, our drone service provides video of your home and neighborhood. This video along with professional photos helps the online buyer see and feel in your home. To learn more about how we can help you sell your Tucson home, call us – 520-940-4541 – to arrange a meeting. We will visit your home and prepare a comparative market analysis.